Pick your case study subject with the best-completed work supported by measurable results that show how you solved a client problem. Gather as much information as possible across the entire story. Write your case study with a narrative that is memorable. Design the case study so it's visually appealing enough for prospects to read. Unfortunately, many of the case studies I’ve read are boring, self-aggrandizing, and uninspiring. That’s because most organizations know they need case studies, but fall terribly short in execution. There is an art to writing a case study that will be the proverbial milkshake bringing all the prospects to the yard. So, today I’m going to teach you everything you need to know on how to write a case study that attracts the right buyer personas and helps you close deals. But First, What Is a Case Study? 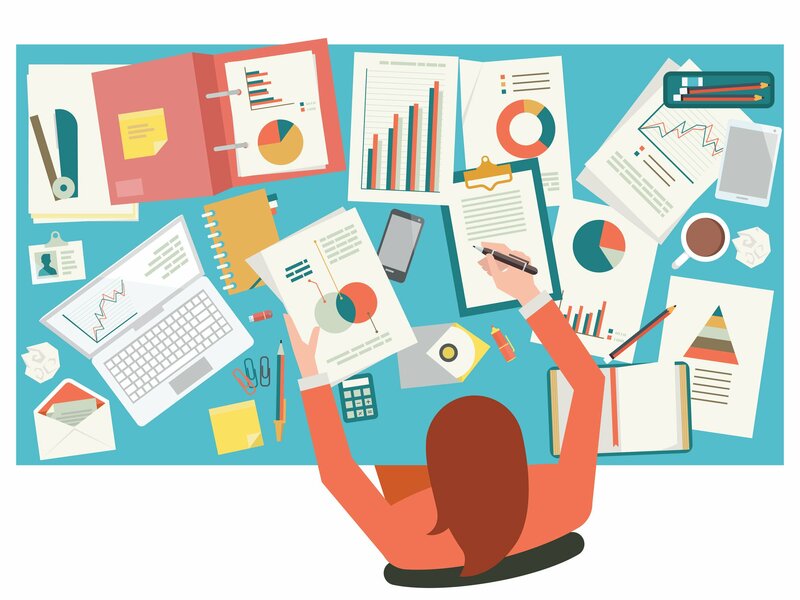 Before we dive into the nuts and bolts of pulling together your case study, I want to give you a quick refresher on what a case study actually is. I know, I know; You’re a pro. But in order to write a killer case study, you need to understand its purpose, as it will inform every decision you’ll make as you go through this process -- plus, it's never a bad thing to brush up. We all know that case studies are critical when it comes to nurturing prospects through the buyer’s journey. This is particularly true since potential customers are usually about 70 to 90 percent of the way through the buyer’s journey before they reach out to someone in sales -- and by that point, they’re still going to ingest about 11.4 pieces of content before they make their final purchasing decision. 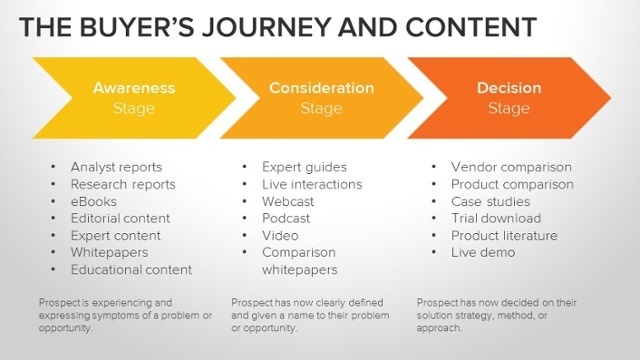 That’s why your content strategy needs to cover more than just eBooks, blogs, and podcasts targeting the awareness and consideration stages. When done well, case studies can be invaluable inbound marketing tools during that critical decision stage, when prospects are evaluating who is going to help solve their problem -- and you want them to choose you. "Would my sales team consider this case study valuable and compelling enough to send to a prospect to help them close a deal?" If the answer is no, then you need to go back to the drawing board. In my experience, one of the most common reasons a client’s case study has gone off the rails is the foundation of their case study was flawed from the start. In other words, they chose the wrong subject to spotlight. That’s why you need to vet the focus of your case study before you begin work on it. Fortunately, there is some good news: When it comes to the scope of the work you choose to feature, size doesn’t matter. One-off projects (infographics, branding), a short sprint campaign (promoting an event, new content offer), or a long-term, strategic endeavor that took months to complete (website redesign, software implementation)… they’re all viable candidates for your next case study. But what do the most successful case study subjects have in common? Well, the easiest way to answer that is by telling you what to avoid. If you don’t have results to share, you don’t have a case study. It’s that simple. So, if you’re still in a pilot phase, waiting for results, hold off. If any of this rings true for a project you’re considering for a case study, set it aside. It’s not case study material. The best case studies highlight completed work supported by measurable results that show how you solved a problem for a now-happy client. Once you’ve identified your case study subject, it’s time to roll up your sleeves and go on a fact-finding mission. There are a lot of questions you’ll need to answers before you start working on a draft and you’ll probably need to talk to a number of different people in order to get them. Which of your personas will this case study target? What problem did your client need solved? Why were you chosen to help them solve it? What was the ultimate solution, and how long did it take to implement? What benefits or results did your client see as a result of your work immediately? What benefits or results did your client see as a result of your work over time? Do you have a client testimonial? First: Who is your client, and what is their problem or goal? Next: How did you help them solve their problem? Finally: Did everyone live happily ever after? Great! Prove it. "Wait, How Do I Know All of the Questions I Need to Have Answered?" To make your life a bit easier, I’ve pulled together this free case study template. It contains every single question you should ask when gathering information for your case study. The questions are also grouped by where they fall within your “story," and I've included prompts if you feel stuck or need inspiration for certain questions. One of my favorite things about this case study template is that you’ll be able to spot gaps in your story immediately. Are you light on results? Did you forget to ask for a testimonial? It’ll all be at your fingertips, in a single, well-organized document. With your completed case study template, writing it should be a breeze. But like I said at the start of this, your case study will live and die by your ability to craft a narrative that is memorable. There are two ways you accomplish this: tone down the fluff and be persuasive. Whenever I’ve worked on a project I’m particularly proud of, I have a tendency to provide way too many superfluous details. It’s just because I’m excited, but in the context of a case study, this kind of overeditorializing can make it look like you’re trying to fluff or pad your case study, because your results are flimsy. Instead, streamline your narrative and your language. Every detail you include should serve one purpose: to support the thesis of your case study. If it doesn’t, cut it out. Also, avoid words or phrases that attempt to influence an opinion, such as unnecessary adverbs or adjectives. For example, if you’re showcasing a branding project, don’t say the final logo was “beautifully designed.” That kind of statement should only be shared if it’s a testimonial from a client — the client's opinion of your work is the one that matters, not yours. Your case study should inspire people to take action. They should want to immediately pick up the phone and call you because they feel compelled to work with you, right? That only works if you write in a way that is both inspirational and compelling. Even though you’re telling a story about a specific client, include qualifiers about that them (industry, size) - or their situation (pain point, objective) - that allow a reader to feel like you’re speaking directly to them and the problem they’re trying to solve. They should be able to easily step into their shoes and say, "Hey, that sounds like me." Comparisons, such as metaphors and analogies, can be your best friend in a case study, as they can help a reader accept a certain scenario as being true if it’s related to something they already understand. However, there is one caveat: Don’t use clichés. While they may exist for a reason, science says we are trained to ignore them. Use power verbs. In fact, here are 109 of them, waiting for you to choose them. Power verbs have momentum. Power verbs imply results. Power verbs aren’t wimpy. Spotlight data, client quotes and testimonials to demonstrate the effectiveness of your work. Finally, don’t forget to proofread! Okay, so you have your case study draft in hand, filled with persuasive phrasing and glowing client testimonials. Now it is time to send it to design. Of course, the end result at this step will probably depend a lot on your brand’s visual standards, but I still have a few tips for you. If you’ve been blogging or creating content for any amount of time you — and your designers — probably already know the basics. Break up walls of text with headings, subheadings, and bulleted lists. Call out relevant data points and quotes you want readers to remember visually. Include videos (if you’ve got ‘em). Also, if you have a testimonial, include the person’s name, job title, and their photo. It shows you solve problems for actual people. When it comes to case studies, design is just as important as the copy itself. A well-written case study will only be persuasive if you create a piece that is visually appealing enough that a prospect will actually read it. If they don’t read your case study because of ugly, unfriendly design, all of your hard work will have been for nothing. In the world of inbound marketing, it’s not enough to simply create content anymore. All of your competitors are now creating blogs, and case studies, and eBooks. In order to stand out today, you have to create quality content that clearly demonstrates you understand the problems of your buyer personas and how to solve them better than anyone else. So, again, yes. This process is comprehensive, but only because I want to make sure that you are empowered to create case studies that make prospects want to call you instead of someone else.